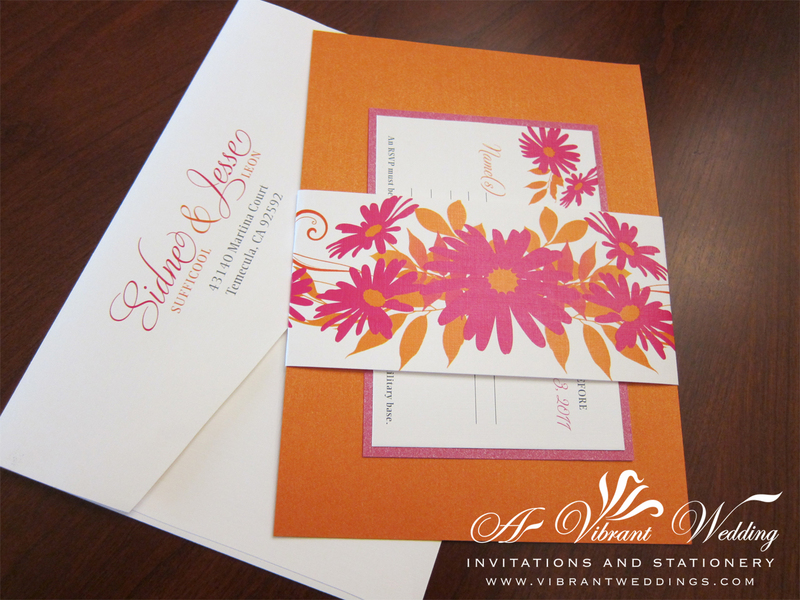 Try our Gate-fold invitation style as a less expensive alternative to the Pocket-fold invitation style! 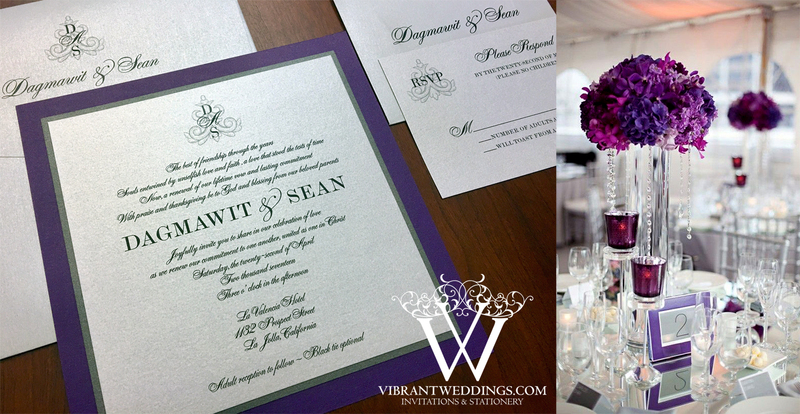 To view our extensive portfolio or to customize your own invitation, please contact us at http://www.VibrantWeddings.com or (619) 852-6886. 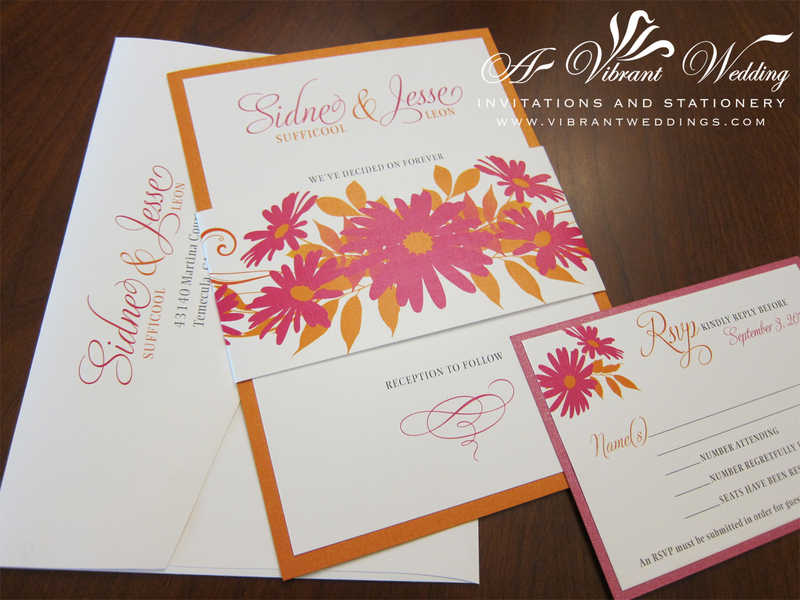 $6.00 per invitation suite for set of 100 invitations. 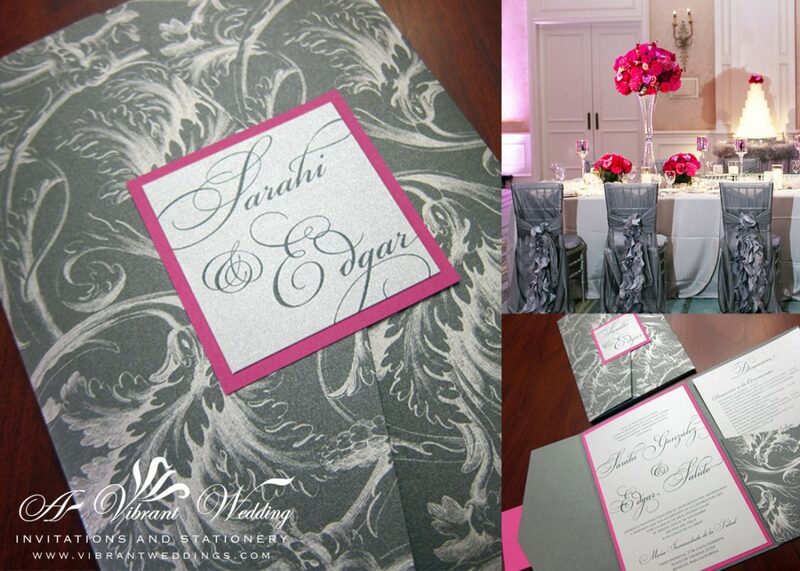 Please contact us for estimates on other quantities. 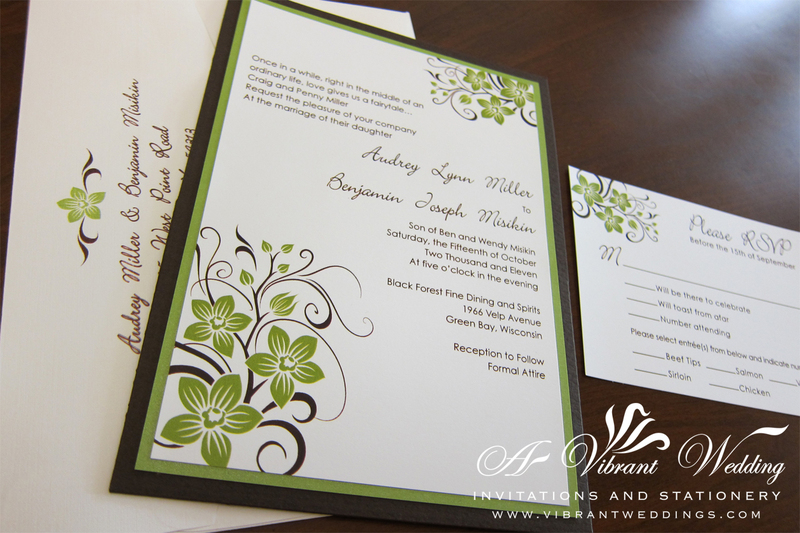 Included are 5×7″ Double-layered Gatefold style invitation. 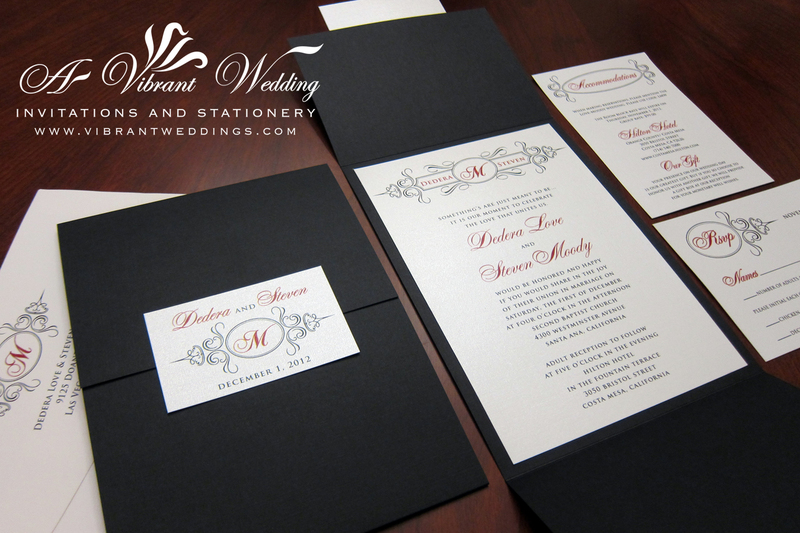 3.5×5″ Response card, outer Square seal, and two blank matte envelopes. 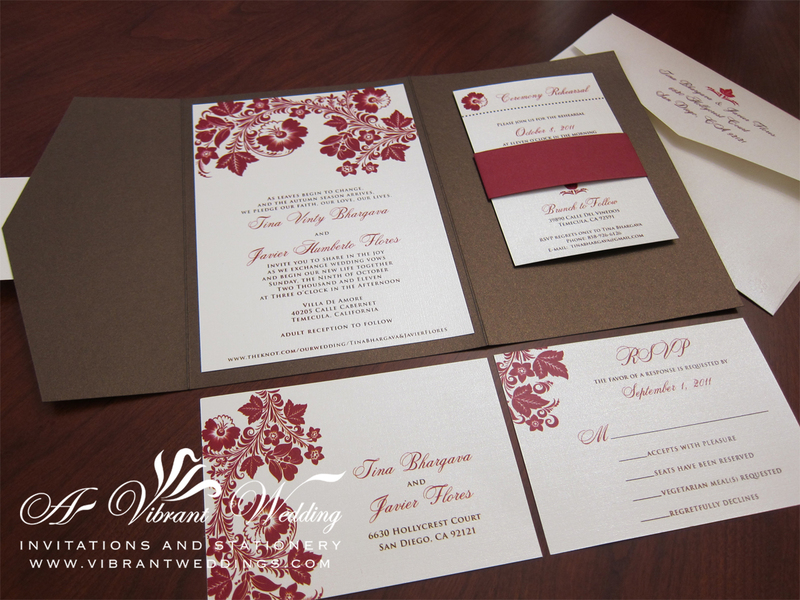 To view our extensive portfolio or to customize your own invitation, please contact us at www.VibrantWeddings.com or (619) 852-6886. 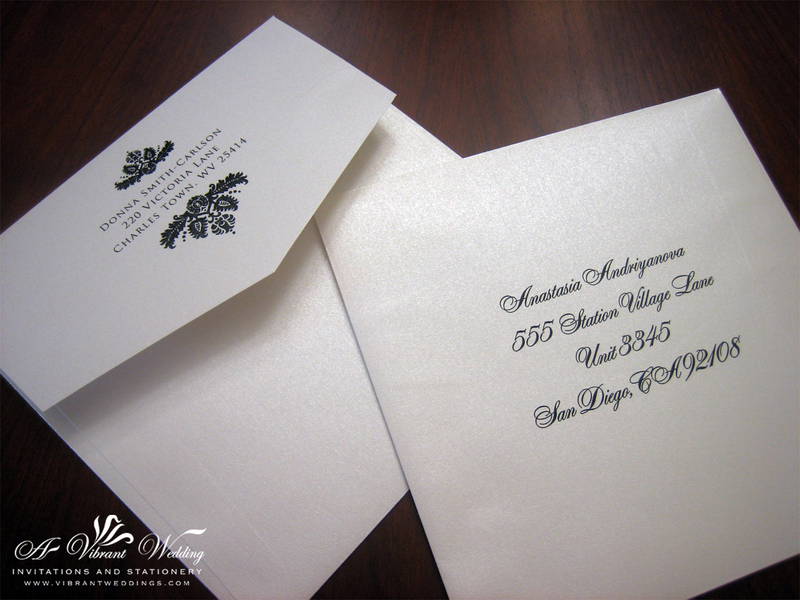 Addressing Envelopes – We can do it for you! 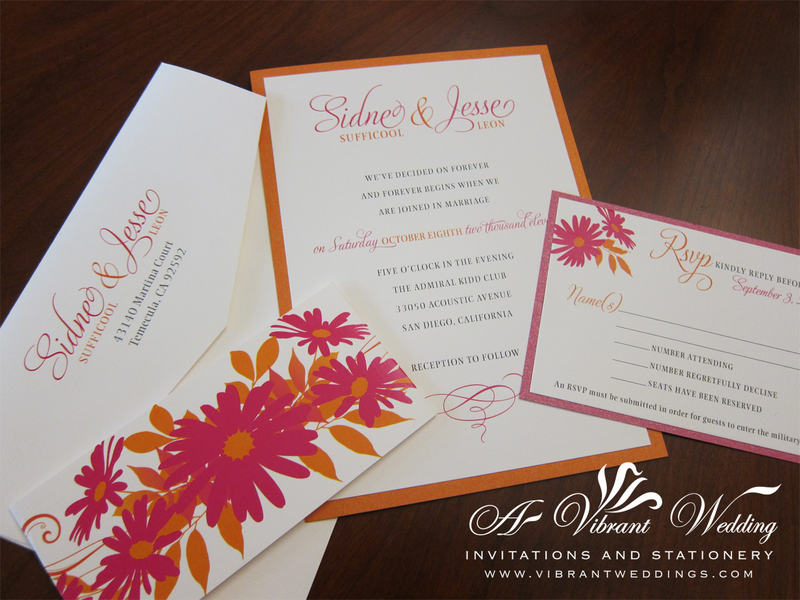 Envelope addressing is available at $0.50 per address in font and color of choice. 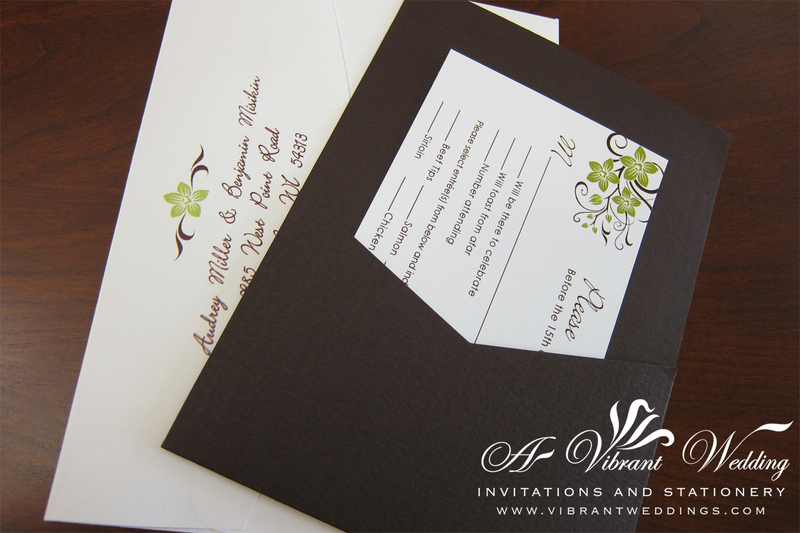 You simply fill in our Excel Address File that we provide in the exact format and then email it back to us.